Obituary for Jessie (Szymanik) Wodka | Kaczorowski Funeral Home, P.A. 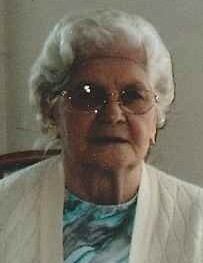 On January 15, 2019 Jessie M. Wodka (Szymanik) beloved wife of the late James Wodka; loving mother of Michael Wodka and wife Mary, and the late Joseph and Brenda Wodka. Dear grandmother of Ryan, Aaron, Joshua and Anastasia and great grandmother of Lukas and Emilea. Sister of Edward and Stanley Szymanik, and Theresa Podowski. Also survived by many nieces, nephews, family and friends. Visitation at Kaczorowski Funeral Home, P.A. 1201 Dundalk Avenue on Friday from 4-8 PM. A Funeral Mass will be held on Saturday, 10AM at Holy Rosary Church. Interment to follow at Holy Rosary Cemetery. In lieu of flowers, donations in Jessie's name may be made to the American Parkinson's disease Assoc. by following the link below.